Following their graduation from Louisiana Tech University in May 2018, Marlon Watts and Nicholas Clark began to look for new ways to spread the mission of WRLDINVSN—their original clothing brand built around a dream bigger than their own. Enter the College of Business. As a management major, Watts recognized the potential power in this connection. 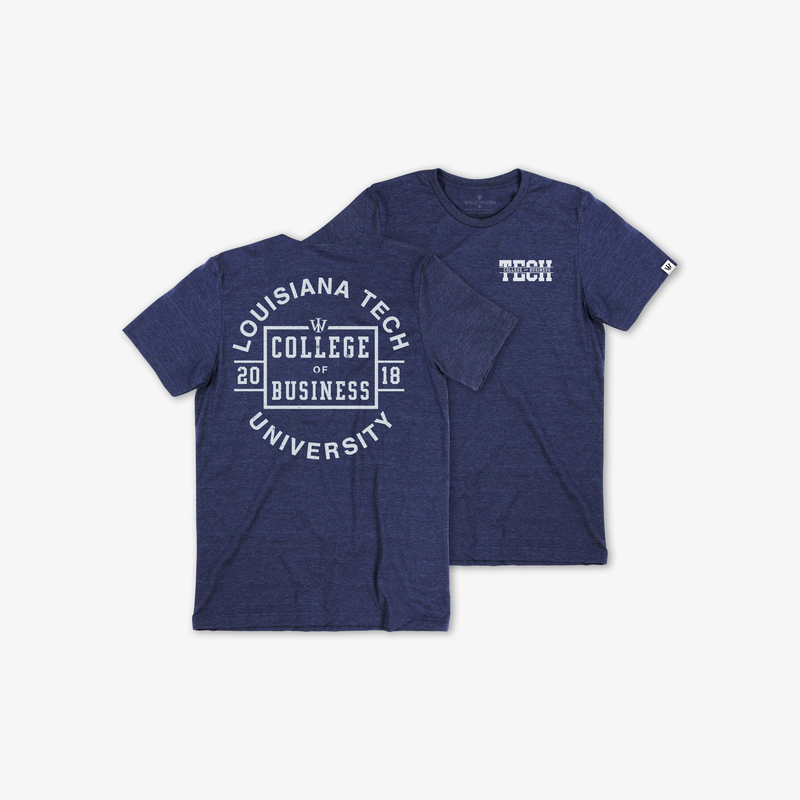 The WRLDINVSN and College of Business teams partnered over the summer to design an exclusive COB t-shirt for students, alumni, faculty and friends. But Clark and Watts wanted to do more. Proceeds from the COBxWRLDINVSN shirt will establish a College of Business scholarship benefiting a business major. Proceeds from the sale of this shirt will establish the WRLDINVSN Fund, a College of Business scholarship benefiting a business major. WRLDINVSN broke the BIG news last night on Instagram! We’re partnering with these amazingly talented entrepreneurs to bring you an exclusive College of Business t-shirt this fall. Pre-order details coming soon! #powerofconnection #latechbusiness #wrldinvsn Check out their site (wrldinvsn.com) to hear their story.